RSI or Carpal Tunnel from Gaming and Computer Use? 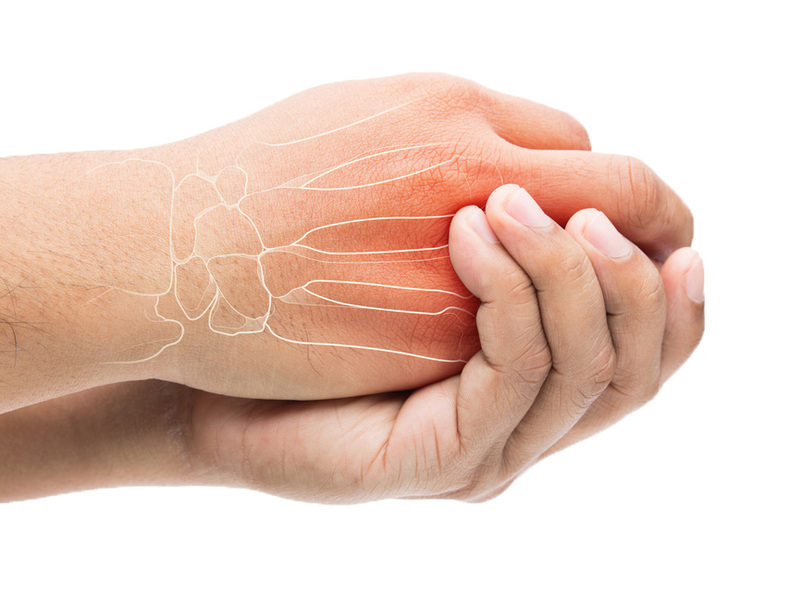 An RSI (repetitive strain injury) develops when a person continuously carries out small, minute movements over a long period of time. Two of the biggest causes of RSI are regular computer use (typing, using a mouse) and playing video games. So it’s no surprise that thousands of office workers and gamers worldwide suffer from RSI each year. So you see, the benefits of Powerball are tenfold. It is the only handheld exercise device you’ll ever need if you’ve developed carpal tunnel syndrome from gaming or computer use. Powerball should be on every worker’s desk and beside every gamer’s console – just ask the other 4 million customers who have successfully used Powerball to strengthen and rehabilitate from an RSI. Pain from Gaming or Computer Use? 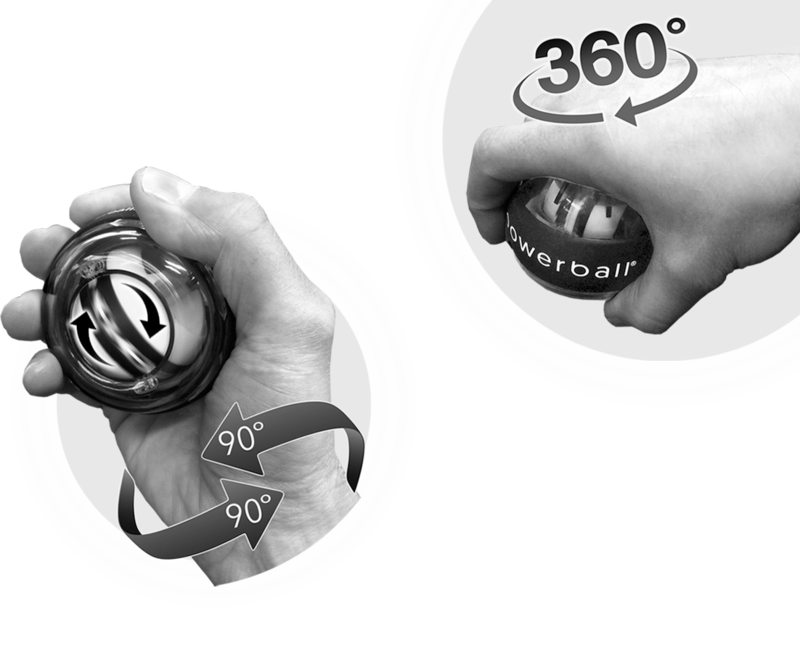 As you spin it, Powerball’s resistance massively increases circulation to your hand, fingers, wrist and arm. This boost in circulation carries oxygen and healing nutrients straight to the source of pain, where they immediately soothe and relieve soreness caused by RSI. Ever taken a painkiller to soothe an RSI like carpal tunnel syndrome? Don’t. Use Powerball instead: instant pain relief, long-lasting effects, versatile usage ability, long-term relief and prevention – Powerball is the only painkiller you’ll ever need. 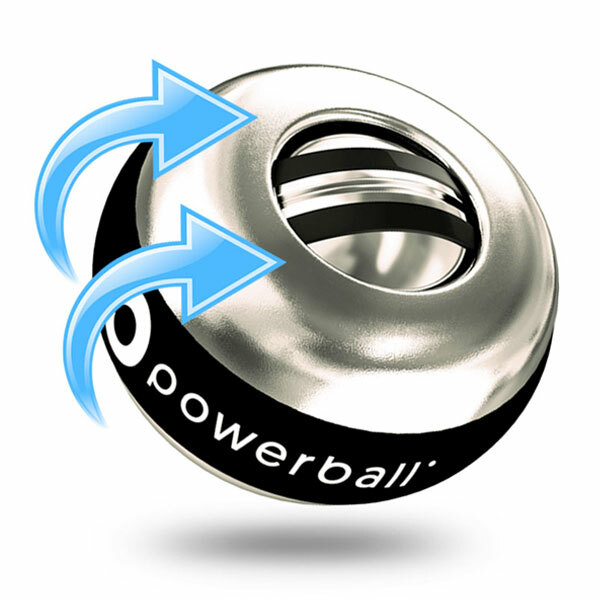 What’s more, the isometric resistance generated by Powerball is 100% non-impact, meaning it doesn’t place any strain on sore or damaged muscles. Therefore, when you exercise with Powerball, you can rest assured that you’re benefiting from complete rehabilitation without risking any further damage. Not only will Powerball help you to rehabilitate an RSI, but it will also strengthen your muscles and joints as you recover. Powerball’s combination of active strengthening and rehabilitation not only repairs damaged muscle tissue, but it also acts as an extra layer of body armour that will protect you from any future injury. Ever feel the need to shake out your hands after an hour of playing video games or being on the computer? During these activities it is not unusual for circulation levels to drop or stagnate, which is why your hands can feel cold or numb. 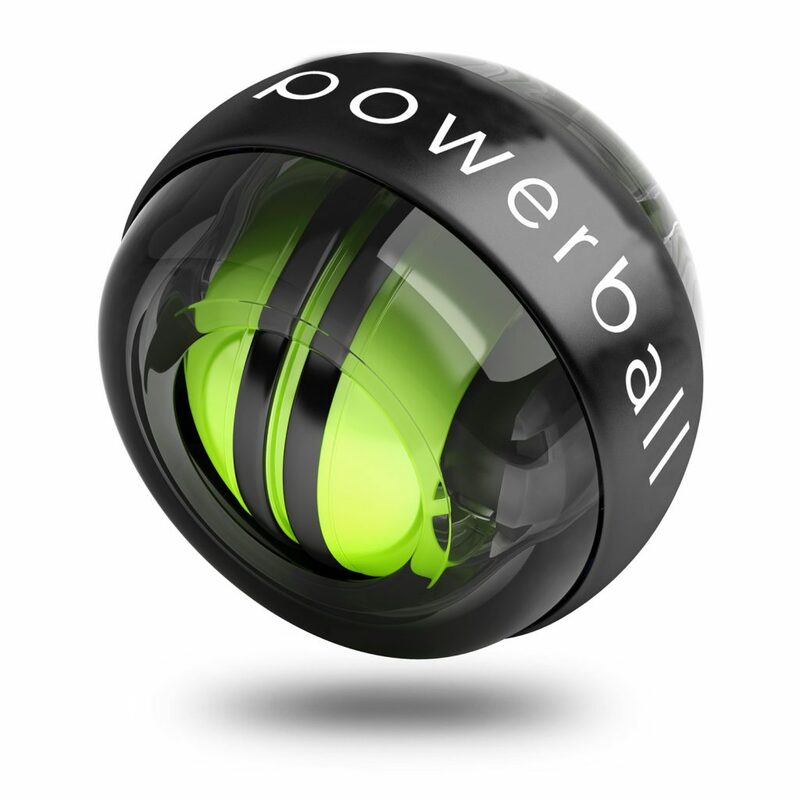 Giving Powerball a quick spin, even for just a couple of seconds, is enough to kick-start your circulation during periods of inactivity. Warm up your hands, get your blood pumping again and even lessen the risk of developing circulation-related conditions, such as chilblains and numb hands. Combat the negative effects of a long day of computer work at the office or a marathon gaming session with friends. 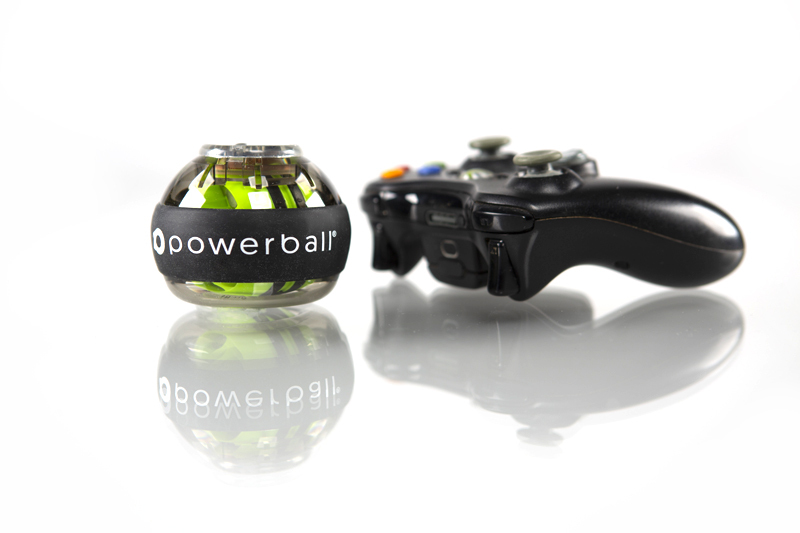 Thanks to its convenient size, Powerball is ideal for storing on your desk at work or on the coffee table at home. Simply give it a quick spin during breaks and begin to feel the difference immediately. Whether you use Powerball to build muscle, boost circulation or to rehabilitate from RSI, this revolutionary device will ensure that your muscles always remain in great shape. Learn more about the range of models available in-store and find the perfect Powerball for you today. Here at Powerball, we’ve worked closely with physios and sports injury therapists to design a clear and easy-to-follow rehabilitation path with your recovery in mind. Rehabilitating and preventing RSI and carpal tunnel from gaming and computer use has never been easier: simply watch the video below to see our finger flexor and extensor exercise programme or check out the videos page for a full selection of exercises and a step-by-step guide to recovery. Carpal Tunnel from Gaming or Computer Use? No Problem! 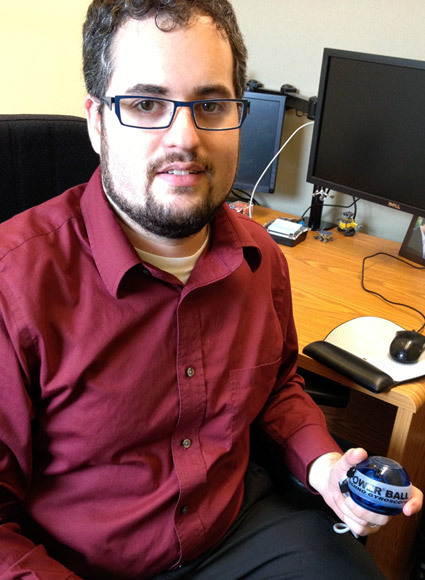 “4 years ago, I started a desk job that involved typing and using a mouse all day. Within a few months, I had shooting wrist pain from RSI and knew I needed to do something to avoid long-term health issues. Hand pain, stiff fingers, RSI or carpal tunnel from gaming or computer use? RSI (repetitive strain injuries) are becoming more and more commonplace for computer users & gamers. Cure & prevent these symptoms simply by spinning Powerball. 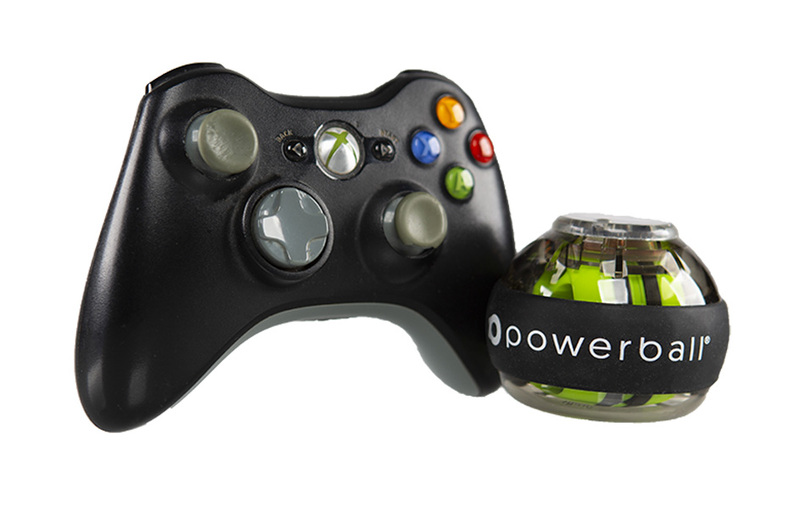 Loosen stiff joints, combat RSI, relieve hand pain and more with Powerball.